The development comes a day after Indian Air Force struck Jaish-e-Mohammed’s biggest terror camp in Balakot in Balakot in Khyber Pakhtunkhwa province of Pakistan. 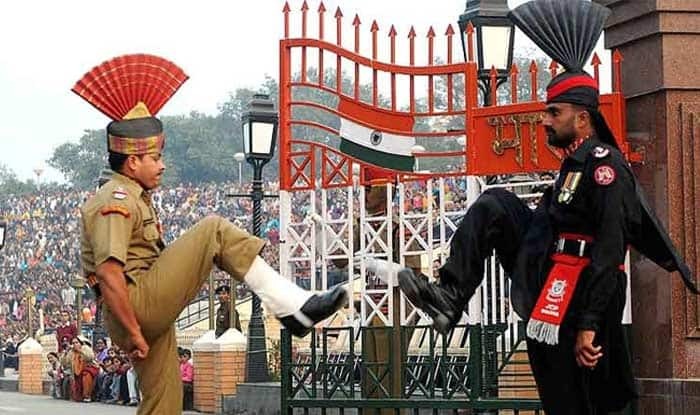 New Delhi: Tensions between India and Pakistan reached an all-time low on Wednesday with Islamabad claiming that it shot down two Indian military aircraft over Pakistani air space and arrested two pilots, and New Delhi rejecting the claim. MEA Spokesperson Raveesh Kumar today said in a briefing that in an aerial engagement, a Pakistan aircraft was shot down. He further confirmed that in the process “we have lost one MiG 21 and a pilot has been missing since”. News agency ANI quoted sources saying that IAF pilot Wing Commander Abhinandan took off in a MiG 21 Bison jet today and he is yet to return. Pakistani military spokesperson Major General Asif Ghafoor claimed that two IAF pilots were arrested. One pilot is injured and has been shifted to a hospital, while another one is unhurt, the spokesman added. A Pakistani Air Force F-16 fighter jet was shot down by Indian air defence forces in Rajouri sector of Jammu region on Wednesday morning. The aircraft was brought down in Jhangar area of Jammu and Kashmir’s Rajouri sector. Top security and intelligence officials have huddled into a meet at the prime minister’s office in wake of the prevailing security situation. NSA Ajit Doval, senior officials of the Indian Navy, Army and the Air Force and other security officials are holding meetings to discuss the current situation. PM Modi also cut short his address at a function in Vigyan Bhawan and rushed to attend a meeting to review the security situation arising out of Pakistan’s attempt to violate Indian air space. Nine airports, including the ones in Srinagar and Jammu, were closed on Wednesday for civilian air traffic amid escalating tension with Pakistan. Airports at Srinagar, Jammu, Leh, Pathankot, Amritsar, Shimla, Kangra, Kullu Manali, Pithoragarh were among those closed. The entire airspace north of the Indian capital has also been vacated. Pakistan has closed its airspace for commercial flights and suspended flight operations across major airports, including in Islamabad, Lahore and Karachi, for an indefinite period. The airport will be used for “military purposes” till it is reopened for commercial activities, an official told DawnNewsTV, adding that a red alert has also been issued.